Testimony was offered in New York with regard to the economic losses sustained by the parents of a child decedent. Under New York's Wrongful Death statute 5-4.3, the economic loss is limited to the pecuniary injuries resulting from the decedent's death. For a child decedent, the elements of damages are limited to the likely financial contributions the decedent would have provided to his parents and the market value for the replacement of services that the decedent would have likely performed for this parents. In this matter, Center economists consulted studies by the US Department of Commerce on support of non-household members, the Consumer Expenditure Survey of the Bureau of Labor Statistics and other sources to determine a reasonable value for these elements of damages. The Center for Forensic Economic Studies was asked to critique a claim for future medical costs in a personal-injury action involving a profoundly injured young male. The life-care plan showed substantial future medical needs and costs, including 24-hour home care by registered nurses. The claim was in excess of $45 million. Center economists looked at the actual growth rate of medical costs in the relevant geographic area, including the rate of earnings growth for registered nurses, and based its discount rate on the current return on high-grade municipal bonds available in the state where the tort occurred. The Center analysis showed a present value of future medical costs ranging from $16.9 million to $21.3 million. Assessment of back/front pay and the mitigation efforts in a wrongful-termination matter brought by a Marketing Manager of a major public utility company. The Center provided analysis of back and front pay damages based upon duration of unemployment data and earnings data published by the Bureau of Labor Statistics. The Center also examined the plaintiff's mitigation efforts by analyzing the plaintiff's job contacts post termination compared with published data on the availability/openings for similar jobs and employment tenure data. Calculation of reasonable compensation to a managing general partner in a commercial real-estate limited partnership over a period of five years. Center economists conducted a labor-market survey and consulted the partnership’s financial statements to complete the analysis and provide testimony. The Center for Forensic Economic Studies was asked to determine the extent of profits lost by a franchisee of a fitness-club chain who claimed to have been frozen out of a major metropolitan market by collusion between the chain and another franchisee. Center economists examined sales data in the relevant geographic locations and submitted a report on lost profits, allowing the claimant to achieve a favorable six-figure settlement. Pursuant to a shareholder dispute, Center economists were asked to assign a value to a start-up venture involving energy distribution. The Center economists determined that the only value that might exist would be the venture’s trademark and the domain name. Research by the economists showed the URL and name to have little value to any other business entity. Valuation of a New Jersey restaurant. As the result of personal injuries sustained a restaurant owner was unable to return to operating his restaurant. The plaintiff's inability to continue the restaurant's operation resulted in the restaurant's closure. Center economists calculated the enterprise value of the restaurant based upon the Income Approach. Center economists were called on to determine wrongful-death damages to the estates of four victims of the 1985 airport terror bombings in Rome that were determined to have been abetted by both Syria and Libya. Under a 1996 law, governments engaged in aiding terror attacks may not claim sovereign immunity. Damages included the decedents’ lost earnings and fringe benefits. Center economists testified on the extent of loss in federal court in Washington DC. 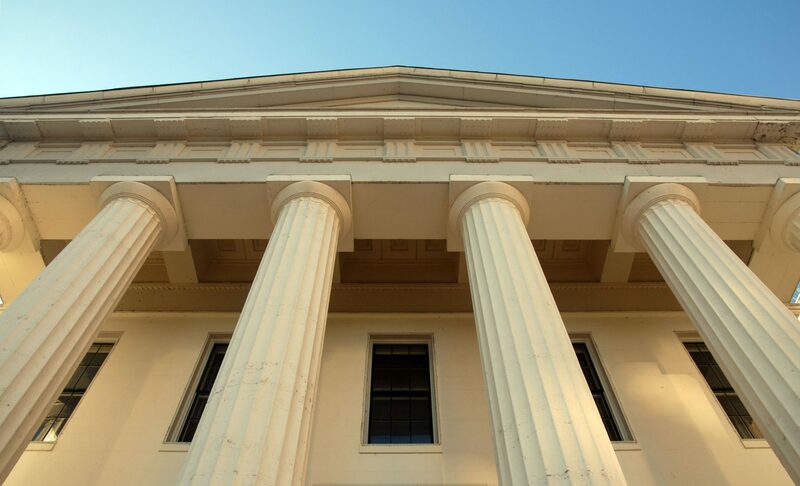 Center President Chad Staller’s damages analysis in a matter involving a school-bus collision with a tractor-trailer was the basis for a $2.7 million settlement reported in New Jersey Jury Verdict Review and Analysis. The plaintiff bus driver, a 58-year-old widow, suffered fractured legs, feet and ribs and internal damage. Staller’s damages assessment considered past and future medical expenses, lost household services and lost future earnings. Analysis of damages to plaintiffs in a federal action involving the 1985 hijacking of TWA Flight 847 by Lebanese Shia Islamists. Issues involved loss stemming from wrongful-death, injury and property damage. One unique aspect of the case was the length of time between the incident and trial. Analysis of economic damages issues in an alleged breach of a non-compete agreement involving a medical practice. A doctor left the practice and was accused of improperly soliciting patients of his former partners, who claimed they had an ongoing relationship with the patients. However, an examination of the practice's patient-retention rate and referral data showed the actual damages to substantially less than claimed. Analysis and testimony on claims brought by a former postal employee who alleged violations of the Americans With Disabilities Act (ADA). He claimed that the employer had failed to accommodate his back injuries. However, an examination of his work history showed several short-term disability leaves of absence, indicating that the employer had indeed attempted to accommodate his alleged disability. His back-pay and front-pay demands were called into question, and a review of the relevant labor market showed that he had failed to mitigate his damages. A motion in limine barring testimony on "hedonic" damages - the value of alleged loss of enjoyment of life. An employment-discrimination and retaliation claim brought by a group of Hispanic and African American police officers. The main elements in the damages claim involved denial of opportunities for overtime. The plaintiffs' overtime hours were compared to those worked by officers whose overtime hours were in the 90 percentile and those who were in the 75th percentile for the district in question. A catastrophic-injury case involving a 48-year-old married male. Center economists put his economic loss in a range of $1 million to $2.2 million. The main projected elements of damages in this case were past medical costs, future medical costs, lost income and household services. A claim brought by a police officer who was forced by the injury to resign from the police force, thereby losing pension and other significant benefits. Economic loss was put at $1 million. One issue was retirement age -- actuarial data showed that it was likely that the plaintiff would have retired from the police force around age 60. A wrongful-death matter involving a single male in his 20s. Economic-loss projections were put at $200,000 - $550,000. One key issue in the matter was maintenance -- the amount of the decedent's personal expenses that would not be available to the estate. A claim of fraudulent inducement by an investor in a restaurant holding that the active partners had denied her a fair share of profits. She was to have received a percentage of profits for her capital contribution. A review of the business's books uncovered the probable value of lost profits. The plaintiff's lost investment opportunities were also evaluated. A failure-to-diagnose-cancer claim involving a married male decedent who died in his early 30s. Economic loss was in a range of $4 million to $6 million. One issue was life expectancy, which may have been limited even had the cancer been diagnosed in a timely manner. A claim of failure-to-promote, brought by a female federal employee. A key damages consideration involved pension -- the plaintiff claimed that, by not being promoted to the GS 12 pay grade, her pension would be determined by her highest three years' pay average of $70,000 rather than $90,000. Another key issue was mitigation -- were reasonably similar positions open to her that would have mitigated her damages claim? A search of the relevant job market was conducted to determine whether the plaintiff had a reasonable opportunity to mitigate her loss. An employment-discrimination and retaliation claim brought by a group of Hispanic and African American police officers. The main elements in the damages claim involved denial of opportunities for overtime. The plaintiffs' overtime hours were compared to those worked by officers whose overtime hours were in the 90 percentile and those who were in the 75th percentile for the district in question.